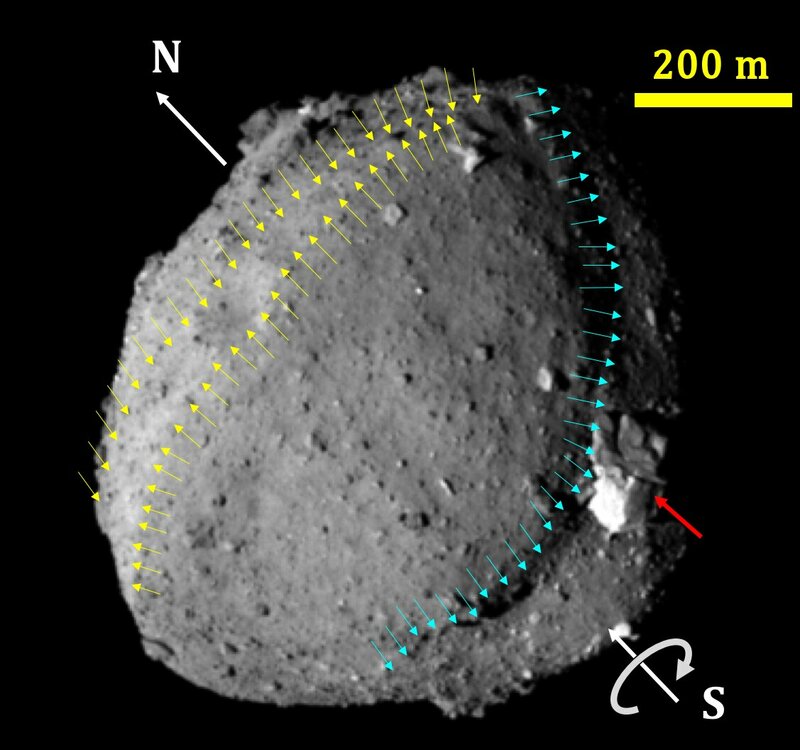 The first data received from the Hayabusa2 spacecraft orbiting the asteroid Ryugu is helping space scientists explore conditions in the early solar system. The space probe gathered vast amounts of images and other data providing researchers clues about Ryugu's history, such as how it may have formed from a larger parent body. These details in turn allow scientists to better estimate quantities and types of materials essential for life that were present as Earth formed. "The ground shook. My heart pounded. The clock counted three, two, one, liftoff!" said Professor Seiji Sugita of the University of Tokyo's Department of Earth and Planetary Science. "I've never felt so excited and nervous at the same time—that wasn't just another science experiment on top of that rocket. That was the culmination of my life's work and the hopes and dreams of my entire team." On Wednesday, 3 December 2014, an orange and white rocket over 50 meters tall weighing almost 300 tons launched from Tanegashima Space Center in South West Japan and successfully sent the Hayabusa2 spacecraft hurtling into space. Its carefully calculated trajectory swung Hayabusa2 round the Earth to pick up speed so it could reach its destination in the asteroid belt between Mars and Jupiter. The target was the asteroid Ryugu, and Hayabusa2 arrived on schedule on Wednesday, 27 June 2018. Since then, the spacecraft has used a wide range of cameras and instruments to collect images and data about Ryugu, which it continually sends to researchers back on Earth. It has even made a brief soft landing in preparation for a second during which it will collect loose surface material—regolith—to return to Earth. Scientists will have to wait until 2020 before that sample returns, but researchers are far from idle in the meantime.